Cork, 1 November 2017: Running from 10 – 19 November, this year’s Cork Science Festival promises to make science even more fun than ever before! With something for all ages, the Cork Science Festival line-up of over 100 events includes explosive workshops such as ‘flames, flashes and frozen flowers’ to crime scene investigation, rainbows to laser shows, ‘cool planet’ climate change workshops, ‘down-under dinosaurs’ demos, building DNA games and the chemistry of cocktails and a special screening of The Matrix. Supported by Science Foundation Ireland, and part of Science Week Ireland, the Cork Science Festival features two flagship events, which are free, open to all the family and will provide hours of educational entertainment. ‘Celebrate Science’ takes place at Gateway UCC on Sunday, 12 November from 12 Noon until 5pm and provides a great free day out for all the family. The ‘Community Festival of Science’ takes place on Sunday, 19 November at Neptune Stadium from 2pm to 6pm and again provides an entirely free and fun engagement for every age with all things science. 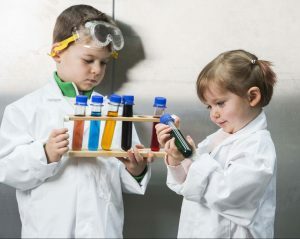 As well as free open days and school visits to bring STEAM into primary and secondary schools across Cork, there is plenty of ‘grown up’ science too with events taking place at Tyndall National Institute, the Glucksman Gallery, St. Lukes Church, the Rising Sons Brewery, Lifetime Lab, Cork City Gaol, St Peter’s Church and many more. The diverse and exciting line up for adults includes an evening with Neil Delamere and Simon Watt at Level Up Human (AMP Nightclub), the Science of Beer (Rising Sons Brewery) the Science of Flavour event (Cask & Greenes Restaurant) as well as a screening of The Matrix movie (St. Lukes Church). While most events are free and all are welcome, tickets are required for some events where the venue capacity may be limited, and some events are over 18s only. Interested in working together? We’d love to hear from you. Contact us by email, phone, post or social media and we promise to be in touch!